It is very vexing when you can’t share or upload your albums to the shared folder with iCloud Photo sharing. So, in this article, you will find some effective solutions to the iCloud Photo Sharing not working on iPhone. iCloud Photo Sharing is an amazing feature that allows users to share their photos and videos with their friends and families. This feature comes preloaded on all iOS devices running iOS 8 and higher. The contacts with which you have shared your album can also add their own photos and videos and even make comments. But sometimes, you will see that iCloud Photo sharing is not working on iPhone. When you encounter this error, you won’t be able to see the shared albums or aren’t able to upload photos to the shared album. So, in this article, we will tell you some solutions on how to fix iCloud Photo Sharing not working on iPhone. Sharing your photos and videos with your family and friends can be very tiring when you have to do it individually. This process is simplified by iCloud Photo Sharing as you can share the same albums with up to 100 people. So, it can get really troublesome to share your albums with others when iCloud Photo Sharing not working on iPhone. 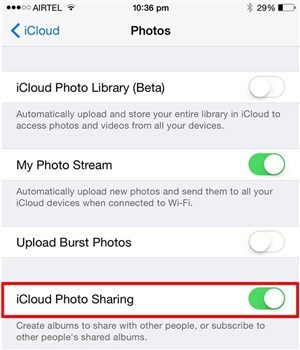 Method 1: Make sure iCloud Photo Sharing is enabled on your iPhone. 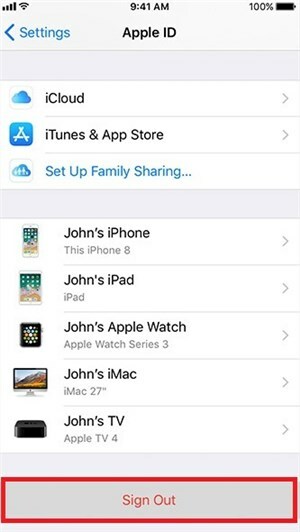 To share and upload photos and videos to your favorite people, you need to have iCloud Photo Sharing on both their and your own iPhone. Step 1: First, go to the Settings and then tap on your Apple ID. Step 2: Now, tap on “iCloud” from the list and then select the “Photos” option. Step 3: Turn on the toggle for iCloud Photo Sharing. Method 2: Check the Network on your iPhone. 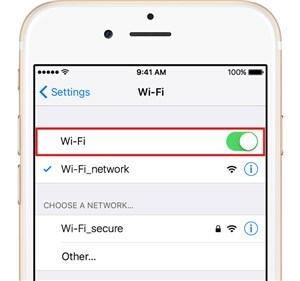 You can also face the iCloud Photo Sharing not working on iPhone when you don’t have a stable Wi-Fi or cellular network available. iCloud services need a stable connection so that it can connect to iCloud servers including iCloud photo sharing. If there is no Wi-Fi or cellular data available, iCloud Photo Sharing will not work. Method 3: Sign out and Sign in your iCloud Account. The iCloud Photo sharing not working on iPhone can also be related to your iCloud account. To fix the problem, you can try signing out from your iCloud account and then sign in again. Step 1: Go to Settings > Apple ID> Scroll down and tap “Sign out”. Step 2: Enter the Apple ID password and select data to be kept on the iPhone. Step 3: Finally, tap Sign out two times and you will be signed out of your iCloud account. Step 4: Wait for a while and then tap the Sign in button and enter the same Apple ID to sign in to your iCloud. Method 4: Restart your iPhone. If all the above-mentioned solutions failed to fix your iCloud Photo Sharing not working on iPhone, then you can try restarting your iPhone to fix the issue. Restarting the device has been known to fix many errors including the iCloud Photo Sharing not working. 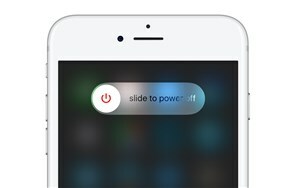 Step 1: Press and hold the power button until you see a slider appear on the screen. Step 2: Now, drag the slider to the right to switch off your device. Step 3: Press and hold the power button again when the device is completely off. During the process of fix iCloud photos sharing not working problem, there are chances that you may lose some precious photos due to accidents. 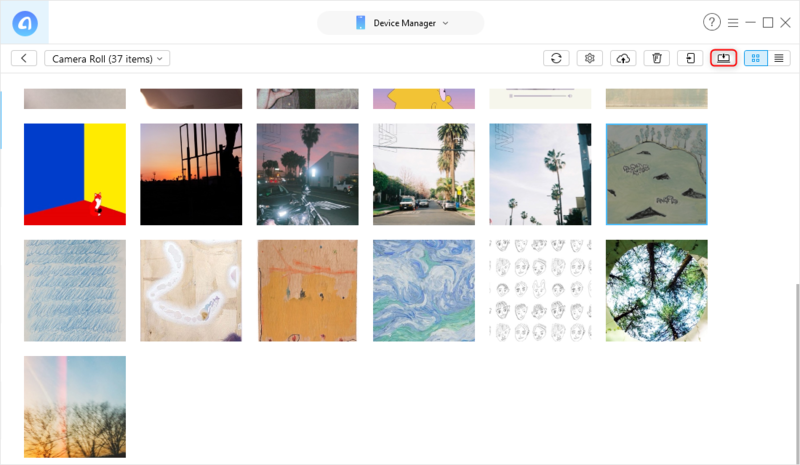 To keep these photos safe, you can try to transfer your iPhone photos to computer as a local backup. For this purpose, AnyTrans for iOS can help you backup iPhone to computer without any trouble. And you can also rely on this tool to manage your iPhone data in a simple and safe way.